The high and low moods of meth (methamphetamine) abusers can mimic the mania and depressive phases of manic depression (a bipolar disorder). The two conditions have features in common that may originate from their similar effects on neurotransmitters and nerve pathways in the brain. One disorder may also lead to an increased risk for the other. Drugs like methamphetamine can cause symptoms of psychological illness. An early paper in International Pharmacopsychiatrystates, “Many features of manic-depressive illness can be mimicked in man by the use and withdrawal of amphetamines,” to which meth (also called crystal meth, chalk, ice, and other nicknames) is related. Chronic abuse of meth might lead to a state of alternating moods of mania and depression, similar to the symptoms of a manic depression diagnosis. Based on a review by the National Institutes of Drug Abuse (NIDA), meth intake causes an initial high or euphoria. This can make a user feel alert, energetic, joyful, or reckless, (mania). These symptoms may persist for several hours because meth is slow to metabolize and be excreted from the body. After the mania wears off, a person can experience depression during the acute withdrawal from the drug. With chronic abuse of methamphetamines, during periods of abstinence, major depression and inability to experience joy in normal activities without the meth can set in. 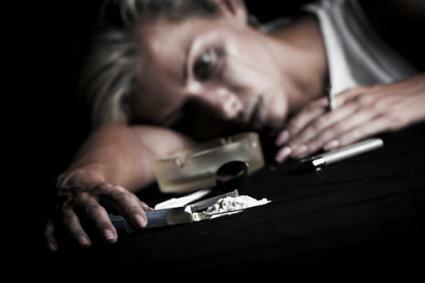 Many meth users might resort to frequent use of the drug (binges or “runs”) to avoid the depression and sadness or to recreate the initial euphoria, according to NIDA. With high doses or repeated use of meth, a user can have symptoms of psychosis or schizophrenia, similar to that sometimes seen in people with manic depression. Like meth abuse, the manic depression disorder creates cyclic states of hopelessness and elation. According to a Harvard Medical School Health Publications review, manic depression, or bipolar disorder, is characterized by long periods of major depression and deep sadness, alternating with episodes of high energy and activity, exuberance and joy (mania), and invincibility, with similarities to the euphoric episodes in meth users. If severe, the symptoms of mania can resemble the psychosis of schizophrenia. During the depression phase, the affected person, like the meth addict, is unable to experience joy in life (anhedonia). People addicted to meth will also experience other symptoms and problems related to the drug abuse, such as its effect on the heart and blood vessels and the complications of drug addiction. While abuse of methamphetamine can cause a cycle of mania and depression, meth abusers can also have a separate diagnosis of an underlying bipolar disorder. Co-occurrence of drug use and psychological illnesses is common, according to another National Institute on Drug Abuse (NIDA) report. People with a mood disorder are two times more likely to abuse drugs like meth, and the reverse is also true, states NIDA. Those with manic depression often abuse illicit substances like meth to try to deal with the extreme highs and lows of the disease or to recreate the manic high. According to the NIDA report, because co-occurrence is common, it is not always easy to tell which came first, the drug abuse or the mental illness. 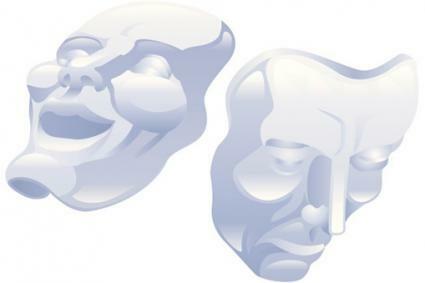 When meth abuse precedes the onset of the bipolar disorder, it might be difficult to know if the drug actions caused the mood dysfunction or whether it triggered an underlying, undiagnosed manic depression disorder. A history of manic depression in other family members may point to that as the primary diagnosis and meth abuse as a secondary problem. NIDA also writes that there is a higher prevalence of psychological dysfunctions in substance abusers (caused by the drug) than there is prevalence of substance abuse among people with mental illness. This suggests that when manic depressive symptoms occur in a meth user, they are more often a result of the drug abuse and less often because of an underlying bipolar disorder. The cited NIDA report states that effects on brain structure and function caused by drug use may explain the risk of a psychological disorder and vice versa. For example, meth abuse may cause brain changes that trigger the onset of manic depression in a person with an underlying vulnerability (diathesis) for the mood disorder. In addition, substance use disorders and mental illnesses share common triggering risk factors, such as genetic susceptibility, stress, a history of trauma, and brain dysfunction, according to NIDA. These defects make it difficult for a person with either condition to function as normal. Methamphetamine is a potent stimulant that gets into the brain quickly, especially if smoked or injected. Based on an International Journal of High Risk Behaviors and Addiction (JHRBA) research review, meth affects mood, behavior, and other factors by entering nerve cells in the brain. Its action in the cells causes an excess release of neurotransmitters, such as dopamine, norepinephrine, and serotonin, out of the cells. The increased level of hormones between cells (synapses) overstimulates the central nervous system and causes the psychological symptoms of the meth use disorder. Meth also prevents reuptake of transmitters back into the cells, prolonging their action. Neurology Today notes the excess dopamine in the pleasure and reward areas of the brain is responsible for the initial high or euphoric pleasure and the manic state. 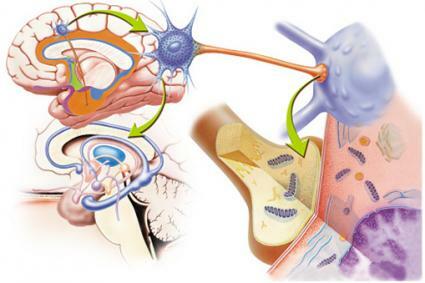 Over time, meth is toxic to nerve cells’ structure and function. Repeated use or high doses of meth causes the cells to produce fewer neurotransmitters and receptors in some areas of the brain, according to Behavioral Neurology. Lower levels of the hormones or the change in their function lead to depressed mood and other disturbances during abstinence, and the meth user needs the drug to improve these dysfunctions. A decrease in dopamine causes the diminished ability to feel pleasure to normal activities without the drug, according to the JHRBA article. Less is known about the brain abnormalities in manic depression, but research indicates they may be similar to changes brought on by meth use and abuse. A review in World Psychiatry notes “disruptions in neurotransmitter systems and signalling pathways” in interconnected areas of the brain might underlie manic depression. As with meth abuse, defects in dopamine, norepinephrine, serotonin, and other neurotransmitter secretion and functions are thought to play a part in the disorder, although exact mechanisms are not yet certain. The disturbances in these hormones probably occur in areas of the brain similar to the effects of meth abuse. These areas include those involved in pleasure, reward, and other emotions and behavior. Both manic depression and meth abuse and addiction are difficult to treat. When the two disorders occur together, each may affect successful management of the other. For a person with manic depression, the added effects on the brain from meth abuse might make it hard to treat the bipolar disorder. For the best outcome, treatment must be directed to the meth abuse and the manic depression at the same time. Manic depression is not curable, but treatment can be effective. As noted by the National Institute of Mental Health, treatment includes medications and behavioral therapy. There are no specific drugs available in 2015 to treat meth addiction, unlike other drugs of abuse such as heroin, however other standard types of drug addiction treatment and antidepressants can be helpful. Seek medical help early if you abuse meth and develop symptoms of mania and depression, or if you have a previous diagnosis of bipolar disorder and start to abuse meth. Both problems are connected by similar effects on the brain, mood and behavior. You are at a greater risk for severe psychosis and suicide if you have manic depression and abuse meth. Talk to your doctor or find a behavioral health or addiction specialist through the Substance Abuse and Mental Health Services Administration’s (SAMHSA) website.